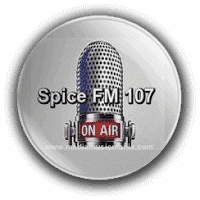 FM Radio Spice 107. This FM Radio Live is very popular Radio not only has their own good idea of how to arrange Radio programs but at the same time. Spice FM 107 also welcomes ideas from their listeners too. It’s a radio for various kinds of listeners and its a place for good entertainment all day long with their show biz related Music. This Radio is Broadcasting and covers lot places of Punjab with a strong reach and good sound quality. This FM Radio produce popular local Music for the entertainment of young culture of Pakistan. This FM Radio providing very good facility based programs and knowledgeable information for new generation. This Radio Online Streaming present Local Music, Punjabi Music, News, updates, sports news, informative programs as per demand of local peoples.